A garage door opener is an integral part of ensuring that your door operates smoothly, efficiently and with ease. There are so many options out there, choosing a new one it can become a bit intimidating to find the right choice for your specific needs. Let’s discuss the different types of openers and which one will suit you, and your pocket, best. There are many different terms to get familiar with in the garage door field. One of these is the opener. Simply defined, it is a motorized electro-mechanical device that can open and close your door for you. As you can see, this type of device can be an essential part of your door as it is what makes it work without you having to make any extra effort. Getting an automatic opener provides both convenience and ease of use. 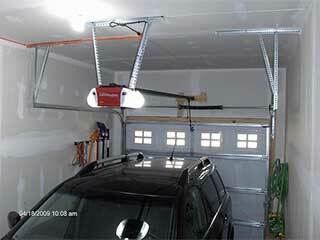 Gone are the days of getting out of your car in the pouring rain to open and close your garage door manually. Not only that, many modern opener models have a lot of different safety and security features to offer you. That means your garage door will be far less dangerous, and burglars won't be able to take advantage of it in order to gain access into your home. As with most things, there are many different brands and models for one single product. In the case of garage door openers, there are also several different types, each with its own unique method of operation. When the time comes for you to choose a new one, there are a lot of different factors you'll need to consider. Your door's size and weight, for once, as it will determine the necessary horsepower output you'll require. How close your garage is to your bedroom is another thing to consider. This will determine if you'll need to go for a more silent opener, which often is more expensive as well. Luckily for you, you don't have to face these contemplations alone. Our experts at Garage Door Repair Henderson can offer you a lot of great advice, and will be more than happy to answer all of your questions. Still not convinced? Why not browse the rest of our website? We provide all sorts of garage door and opener related services, and can install new parts and maintain old ones for you.